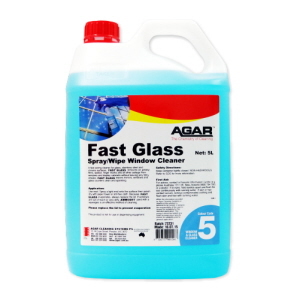 Agar's Glass Cleaners are trusted to bring glass, mirrors and other polished surfaces to its beautiful, streak-free shine finish. These glass cleaners are concentrated, thus it increases value for money while reducing packaging and transport. Agar Flash-dry Glass and Shiny Surface water-based alcohol boosted cleaner with rapid evaporation. 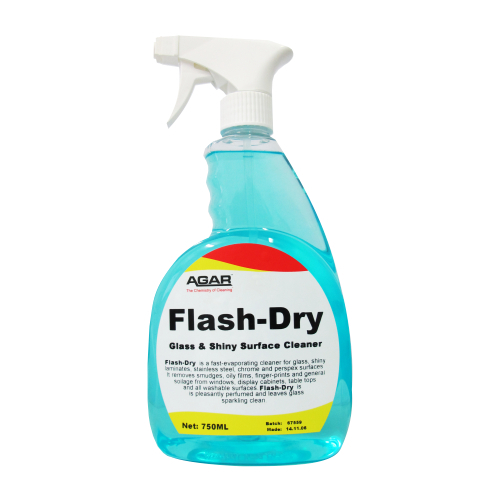 Quickly removes soilage from hard shiny surfaces especially glass, dries rapidly. It’s designed for spray-and-wipe cleaning of glass, chrome and all shiny surfaces with a pleasant perfume to lightly deodorise. Agar Fast-glass Spray and wipe window cleaner removes marks from glass, stainless steel and chrome surfaces leaving them sparkling clean. Agar Fast-glass Spray and Wipe Window cleaner evaporates quickly so less wiping is required. Agar Bellevue Spray Wipe Glass and Window Cleaner environmentally -preferable, fast acting cleaner for glass, stainless steel and chrome surfaces. It removes oil, greasy films, lipstick, finger marks and all other soilage from windows and display cabinets without leaving any film streaks. 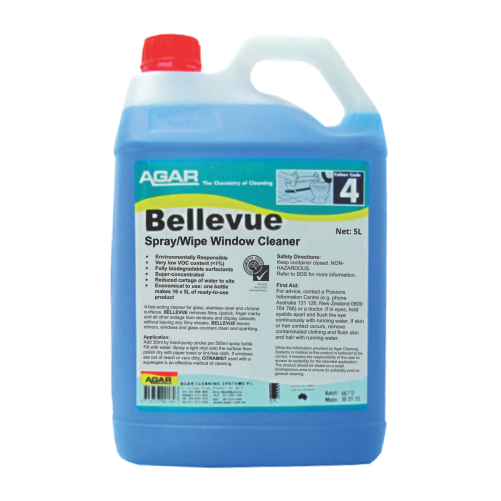 Agar Bellevue spray-and-wipe cleaner rapidly penetrates and removes light to medium soil loads from windows and mirrors leaving it clean and sparkling. It’s a concentrate that is diluted with water on site, reducing freight of chemicals. Bellevue has been formulated to minimise any possible impact on both people and the environment. 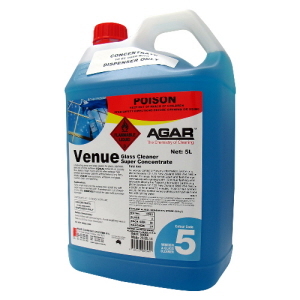 Agar Venue fast-acting glass cleaner concentrate for dilution via a dispenser. It cleans glass, stainless steel and chrome surfaces. Removes oil, greasy films, lipstick, finger marks and all other soilage from windows and display cabinets without leaving any filmy streaks, leaving glass windows clean and sparkling. 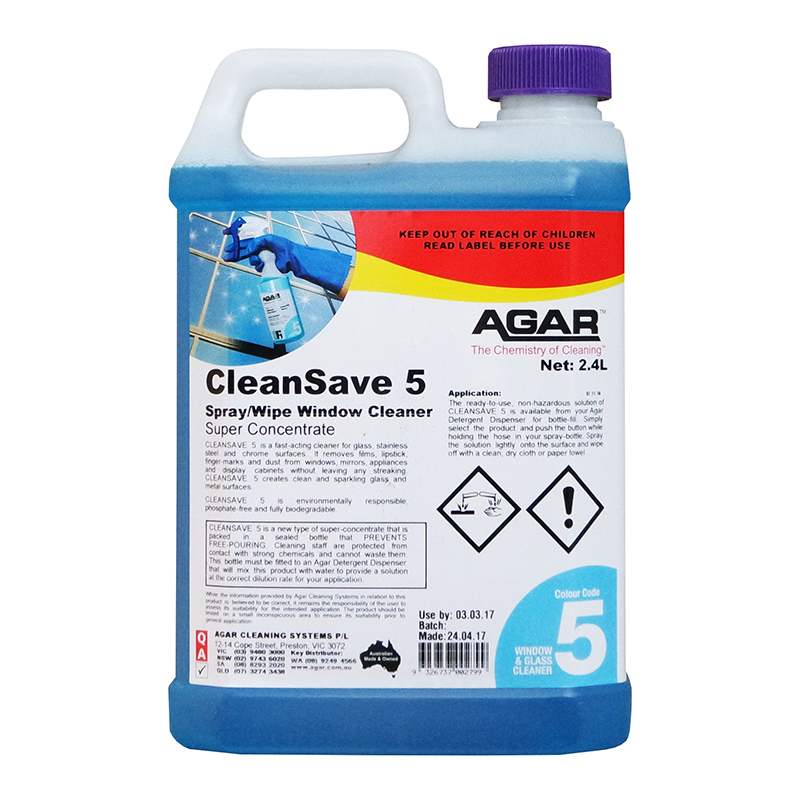 Agar Venue Glass Cleaner Super Concentrate is fully effective, economical chemicals for safe, controlled dispensing with a colour coded system. It has been formulated to produce the lowest possible impacts on both people and the environment, whilst facilitating highly effective and productive cleaning. Each 2.4L Pack can fill 110 Spray Bottles.